All copyrights in this publication are owned by Dobsons Pty Ltd. Copyright in the information available in this site is owned by Dobsons Pty Ltd. Any brand names and logos are trademarks of Dobsons Pty Ltd. No license to use or reproduce any of these trademarks is given or implied. These trademarks may not be copied, downloaded, reproduced, used, modified, or distributed in any way (except as an integral part of an authorised copy of material appearing in these web pages, as set forth in the section above) without prior written permission. While links to and frames of this site are in some cases permitted, we reserve the right by notice to prevent linking or framing. Links and frames connecting this site with other sites are for reference only and we expressly deny any endorsement or approval of those other sites, their content or the people who run them. The information in these web pages is provided WITHOUT WARRANTY OF ANY KIND, EITHER EXPRESS OR IMPLIED, INCLUDING ALL WARRANTIES OF MERCHANTABILITY AND FITNESS FOR A PARTICULAR PURPOSE, TITLE OR NON-INFRINGEMENT of third-party rights, nor the accuracy or completeness or timeliness of any information herein. The material could contain inaccuracies or be outdated. 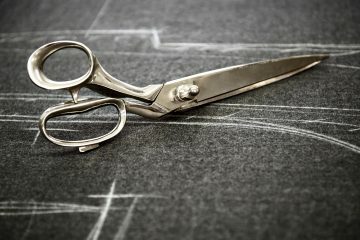 In no event will Dobsons Pty Ltd be liable to any person for any damage of any kind for use of or reliance upon these materials, including any omissions in any materials. Our aim is total customer satisfaction. If you are not completely satisfied with your purchase, we will exchange or refund any current uniform. Please return it to us immediately. We will refund or exchange any current uniform item subject to its return being unworn, unused and unwashed in its original condition and packaging upon presentation of original invoice. Returns or exchanges may be returned in person or by post. As Dobsons is not liable for the loss of an item returned we recommend that you return by registered mail. 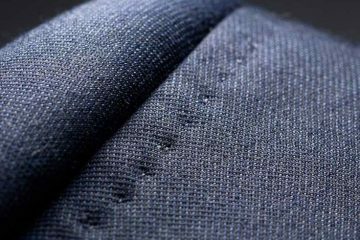 For items that have been worn and the issue is minor, Dobsons will provide a free repair within 48-72 hours of receipt of the goods into our manufacturing facility. Due to hygiene reasons, swimwear, hats, caps, hair pieces, hosiery and underwear are unable to be returned for change of mind. Personalised items (Named or Altered) cannot be returned for a refund or exchange for change of mind. Our Change of Mind Policy does not affect your rights under the Australian Consumer Law and you have consumer guarantees that cannot be limited by us. If your product is not of acceptable quality, is different from its description or sample, then you may be eligible for a refund, exchange or any drop in value of the product (if you choose to keep it). The intellectual property rights in all software and content, including the Dobsons Pty Limited and Uniform Swap Shop brands and all other trade marks, trade names and logos made available to you on or through this Website remains the property of Dobsons Pty Limited or its licensors and are protected by copyright laws and treaties around the world. All such rights are reserved by Dobsons Pty Limited and its licensors. You may store, print and display the content supplied solely for your own personal use. You are not permitted to publish, manipulate, distribute or otherwise reproduce, in any format, any of the content or copies of the content supplied to you or which appears on this Website nor may you use any such content in connection with any business or commercial enterprise. 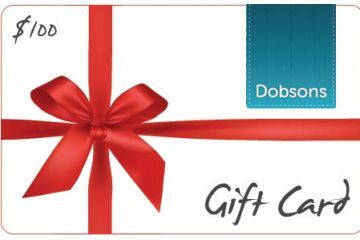 In order to contract with Dobsons Pty Limited you must be over 18 years of age and possess a valid credit or debit card issued by a bank acceptable to us. Dobsons Pty Limited retains the right to refuse any request made by you. Whilst we try and ensure that all details, descriptions and prices which appear on this Website are accurate, errors may occur. If we discover an error in the price of any goods which you have ordered we will inform you of this as soon as possible and give you the option of reconfirming your order at the correct price or cancelling it. If we are unable to contact you we will treat the order as cancelled. If you cancel and you have already paid for the goods, you will receive a full refund. Where applicable, prices are inclusive of GST. Delivery costs will be charged in addition; such additional charges are clearly displayed where applicable and included in the ‘Total Cost’. The Service may contain typographical errors or other errors or inaccuracies and may not be complete or current. We therefore reserve the right to correct any errors, inaccuracies or omissions and to change or update information at any time without prior notice. We reserve the right to refuse to fill any orders that you may place based on information on the Service that may contain errors or inaccuracies, including, without limitation, errors, inaccuracies or out-of-date information regarding pricing, shipping, payment terms or return policies. In an effort to enhance your shopping experience and give as many customers as possible the opportunity to purchase our merchandise, we may place limits on purchases and we do not authorise the purchase of commercial quantities of our merchandise. We also may, among other things, restrict orders placed by or under the same customer account, the same credit card and/or orders that use the same billing and/or shipping address. We reserve the right to limit, cancel or prohibit orders that, in our judgment, appear to be placed in violation of this policy. We may modify this policy at any time without prior notice. This policy applies to all purchases of Dobsons merchandise, including, but not limited to, all purchases made at our retail stores, uniform shops and through our catalogues and websites. Gift cards may be physical gift cards. Gift cards are issued in $AUD, cards issued in Australian dollars are redeemable in Australian stores only. They are not redeemable for cash or travellers cheques. No change will be given for a purchase made with a gift card. The gift card expires twelve months from the date of issue (or date of purchase for E-Gift Cards). Gift cards are partially redeemable and it is up to the cardholder to use the full value within the validity period. Any unused balance will not be refunded or credited when the card expires. When the cost of a purchase exceeds the available card balance, the cardholder will be required to make up the difference with an alternate form of payment. Gift Cards should be treated like cash. Dobsons Pty Limited disclaims all responsibility for lost or stolen cards. The material displayed on this Website is provided without any guarantees, conditions or warranties as to its accuracy. Unless expressly stated to the contrary to the fullest extent permitted by law Dobsons Pty Limited and its suppliers, content providers and advertisers hereby expressly exclude all conditions, warranties and other terms which might otherwise be implied by statute, common law or the law of equity and shall not be liable for any damages whatsoever, including but without limitation to any direct, indirect, special, consequential, punitive or incidental damages, or damages for loss of use, profits, data or other intangibles, damage to goodwill or reputation, or the cost of procurement of substitute goods and services, arising out of or related to the use, inability to use, performance or failures of this Website and any materials posted thereon, irrespective of whether such damages were foreseeable or arise in contract, tort, equity, restitution, by statute, at common law or otherwise. This does not affect Dobsons Pty Limited’s liability for death or personal injury arising from its negligence, nor for fraudulent misrepresentation, misrepresentation as to a fundamental matter or any other liability which cannot be excluded or limited under applicable law. You agree to indemnify, defend and hold harmless Dobsons Pty Limited, its directors, officers, employees, consultants, agents, and affiliates, from any and all third party claims, liability, damages and/or costs (including, but not limited to, legal fees) arising from your use this Website or your breach of the Terms of Service. Dobsons Pty Limited shall have the right in its absolute discretion at any time and without notice to amend, remove or vary the Services and/or any page of this Website. The above Terms of Service constitute the entire agreement of the parties and supersede any and all preceding and contemporaneous agreements between you and Dobsons Pty Limited. Any waiver of any provision of the Terms of Service will be effective only if in writing and signed by a Director of Dobsons Pty Limited.